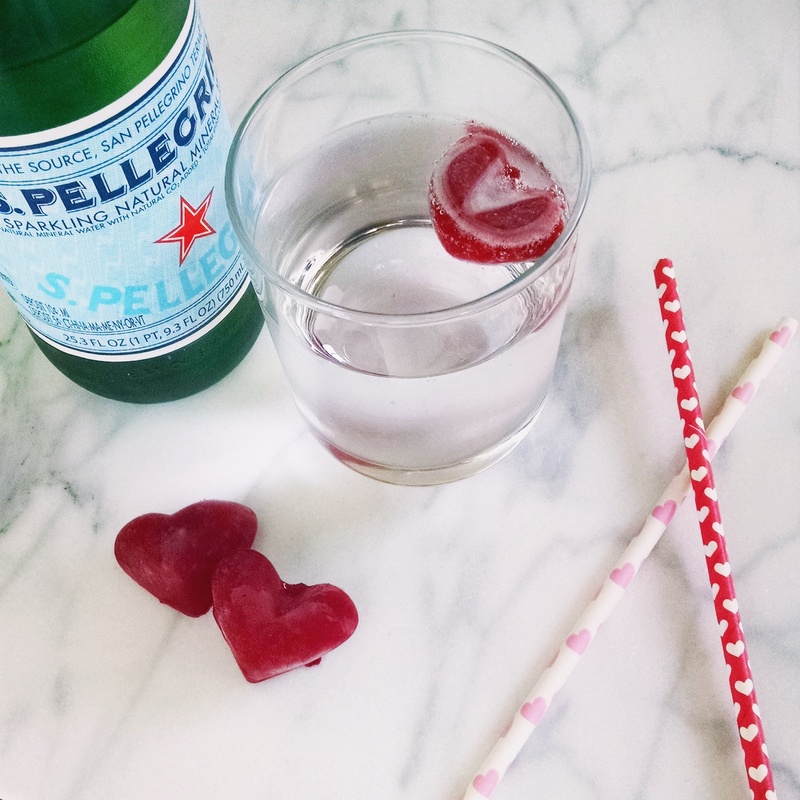 We love holidays in our house, and Valentine’s Day is no exception. 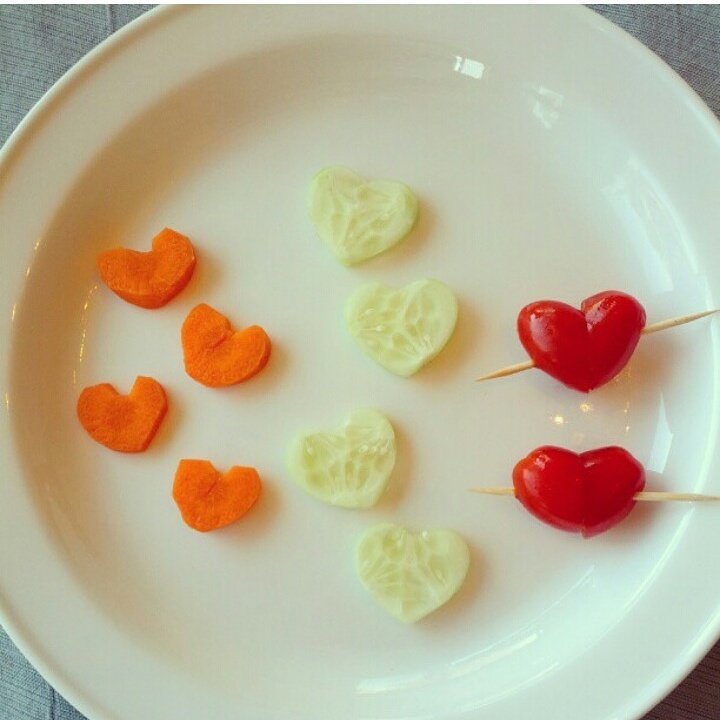 My kiddos have loved heart shapes since they were very small and I’ve always had fun creating meals for them in February. Below are a few ideas for breakfast, lunch, snacks, and dinner. I wanted to share with you that we’ve created in our house over the past few years. Apologies for some of the photos – they are a few years old and from phones older than that. 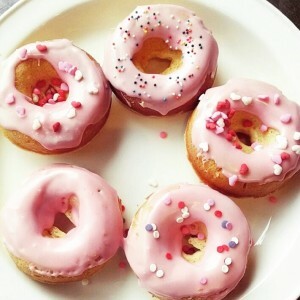 I love homemade donuts, and these turned out so well! I don’t have an original recipe – I use the instructions they send with the pan. My kids are obsessed – seriously obsessed – with yogurt parfaits. 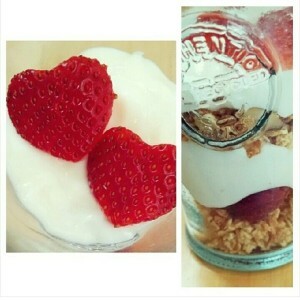 This is another great breakfast idea that you can switch up with different types of greek yogurt, fruit, and granola. The hearts make it extra yummy! 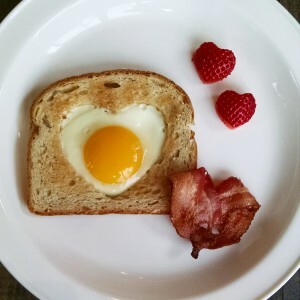 This next idea for breakfast is the classic egg in a hole idea, but made with a heart shaped cookie cutter. I fry on one side since I like my yolk on the runny side, but it’s up to you! Bacon hearts are simple – cut one slice of bacon in half and shape! I always cook mine in the oven at 400 for 15-17 minutes. Kashi’s Heart to Heart cereal has changed shape over the years, but it always a hit in our house – no matter the holiday. Talk about a fast breakfast idea! Oatmeal is a great breakfast idea in February. 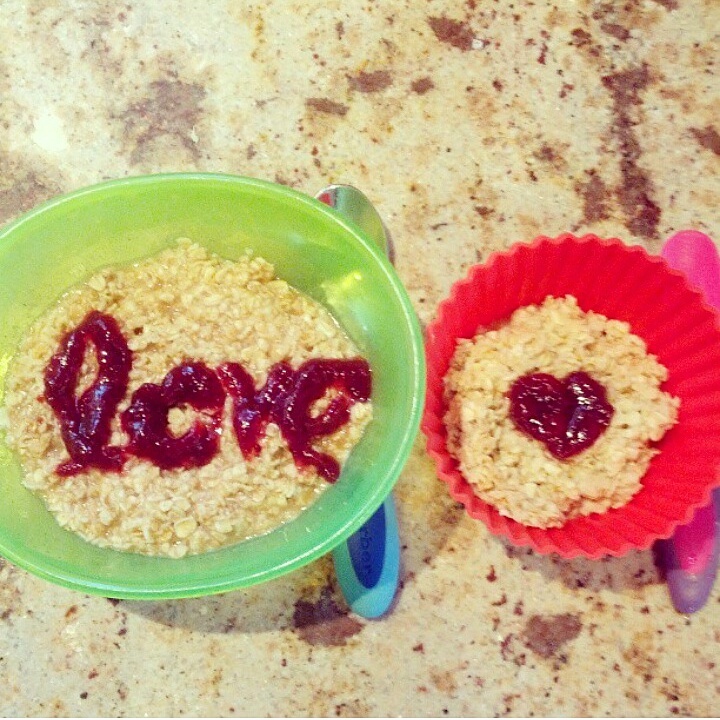 The warm oats warm up any cool morning and “writing” love notes on top really puts a smile on anyone’s face. Once I have prepared the oatmeal, I scoop a few spoonfuls of red raspberry preserves into a small sandwich plastic bag. I cut an extremely small slit in the bottom corner and used it as a pastry bag to decorate! Nothing says love like red and hearts. Combine that with one of my favorite flavors – red velvet – and you’ve got yourself a yummy breakfast! 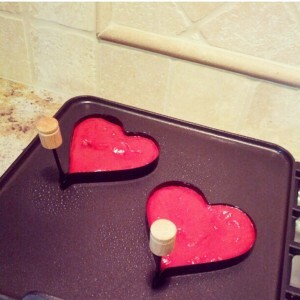 I use a red velvet pancake mix from World Market with a heart egg ring set. Make sure to use extra oil or spray so nothing sticks! 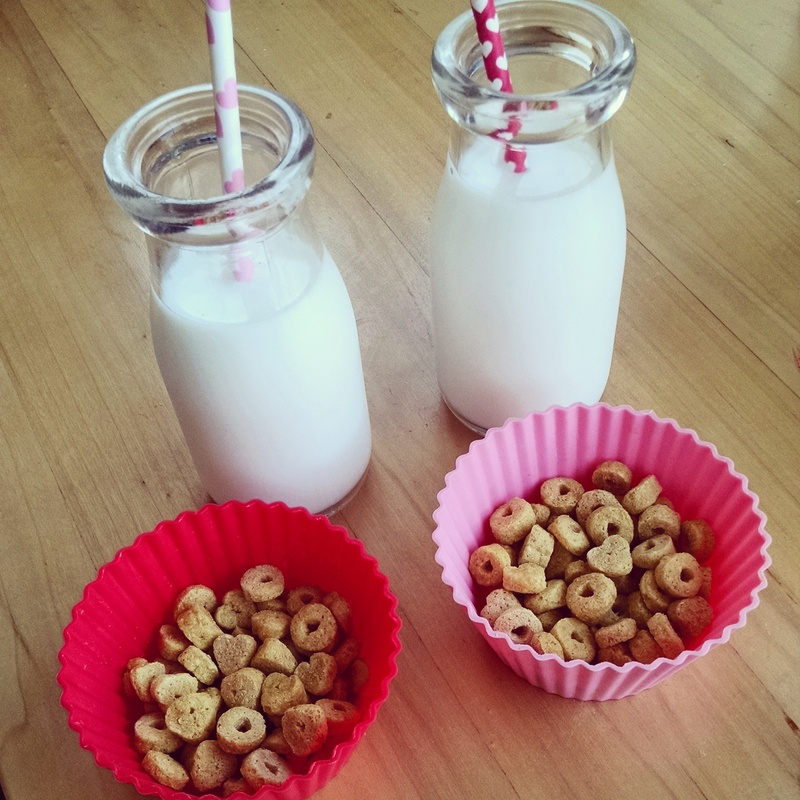 My kiddos love snacks as most young ones do! 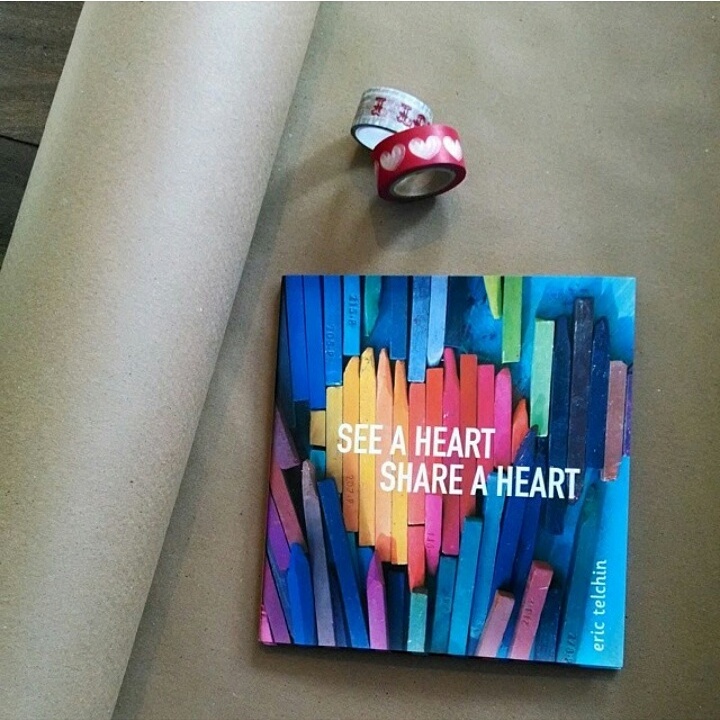 Heart shaped anything ensures nothing is left behind! 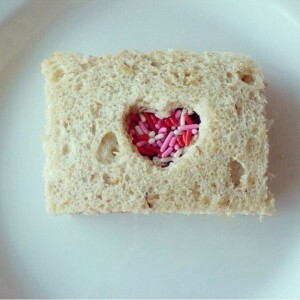 This special treat sandwich with Nutella and sprinkles is made by cutting a heart shaped cookie cutter through one side of bread. Too easy! 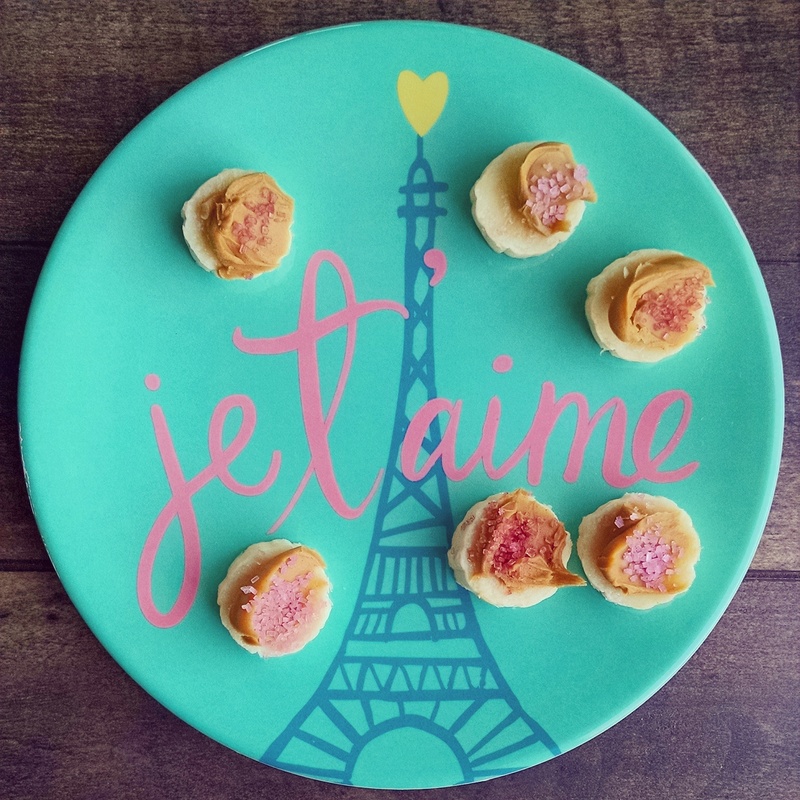 We change up this snack every month or so in our house. It doesn’t always include sprinkles, but it’s a fun treat (especially ones with natural dyes!) and my little ones always want more. I have tried for a few years to perfect the heart shaped ice cubes and I think this year I’ve done it! 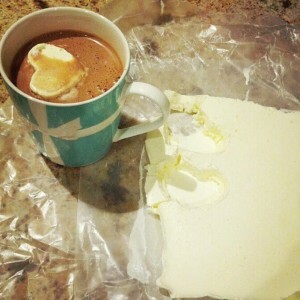 I’ve always used water and natural dye and it VERY quickly melts as soon as I place the ice in the milk for my kiddos. 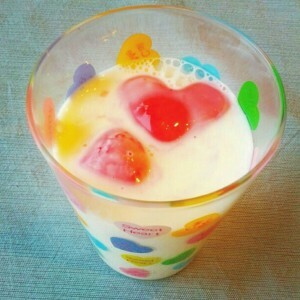 This is fine because pink milk is fun on Valentine’s day, but I’m looking for something slightly more stable. I decided to smash up raspberries and place them in the tray. 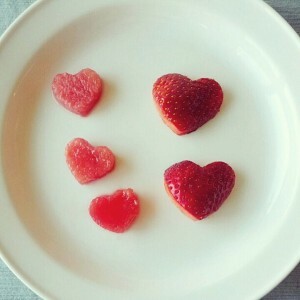 They froze perfectly and stayed in a heart shape for a long time. Homemade heart marshmallows are a sweet surprise to any cup of hot chocolate! 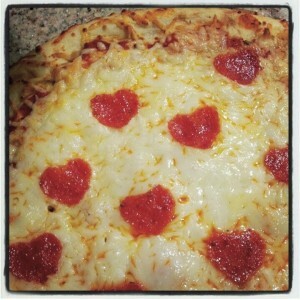 Not much could be easier for dinner than pizza! 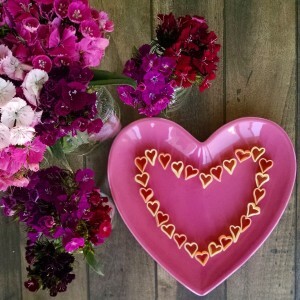 Heart shaped pepperonis are made with my smallest cookie cutter and you could substitute veggies or even create your own heart shaped pizza dough! My husband James is a huge fan of beets, and son Patrick loves goat cheese. 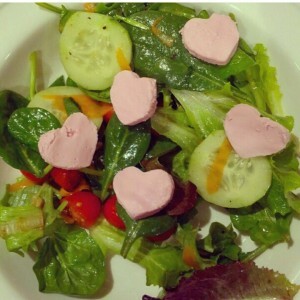 These two salads combine both which is a hit in my book! 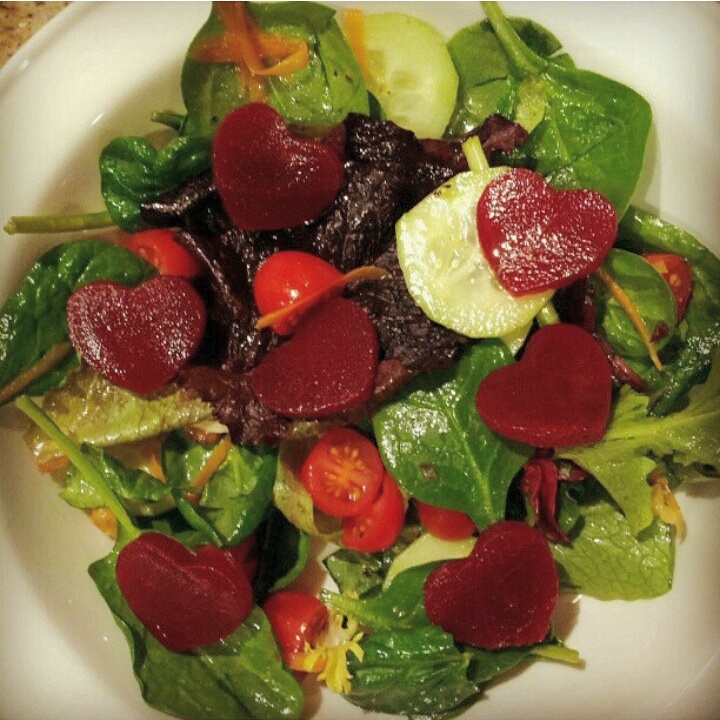 I bought pre-sliced beets and cut them in heart shapes with a cookie cutter. For the goat cheese, I mixed it with some of the beet juice from the can and spread it on parchment paper and froze it for about 30 minutes. After, you can use a small cookie cutter to cut out heart shapes! Cost Plus World Market always has a different pasta for every holiday! They are my favorite for little ones for their creative shapes and natural dyes. I roast seasonal veggies and splash on shitake seasame dressing for a dinner that’s always gobbled up. I received a great non-stick heart shaped cake pan from my Auntie a few years ago and I don’t believe they sell the one I have anymore. They make lots of great ones I’ve included in links below. Funfetti makes this cake even sweeter. We don’t usually exchange big gifts with the kids, but little books like this always show lots of love which is what this holiday is all about. I hope you enjoyed this Valentine’s food round-up for little ones! Below are affiliate links to all of the products I used mentioned above. 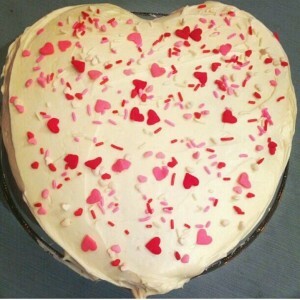 This entry was posted in Recipes on February 12, 2015 by Ring Master Mom.